Oranges are one of the world's most popular fruits whether eaten whole or squeezed for their juice. They are loaded with vitamin C and are high in fiber and folate, which makes then a healthful choice for snacking and meals. Although the fruit is a popular choice in the produce section, many people do not really know much about oranges. Orange trees and other citrus fruits grow well in a subtropical climate. They prefer a sandy soil, and they are sensitive to cold weather, which can damage the fruit. Orange trees can grow to a height of 22 to 30 feet. Oranges are the most widely grown citrus fruit in the world, according to Dole. The world's leading orange grower is Brazil, followed by the United States, China, Spain and Mexico. 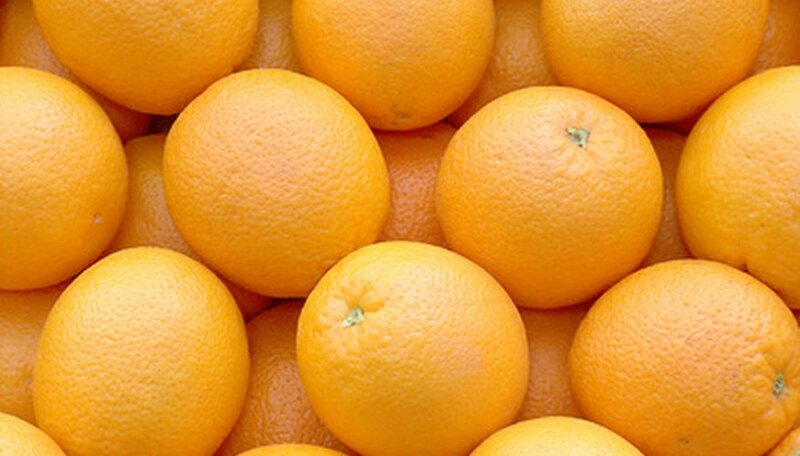 In the United States, most oranges are grown in Florida and California. In Florida, oranges are a $9-billion-a-year industry, according to the Florida Department of Citrus. More than 80 percent of the orange juice produced in the United States is made from Florida oranges. Orange trees can produce more than 60,000 sweet-smelling blossoms, but only about 1 percent of a tree's blossoms go on to produce fruit, according to Paramount Citrus. It takes between five and 18 months for an orange to ripen on the tree. Trees typically begin producing fruit after three years. Orange trees originated in China and were found in Europe before eventually being grown in North America in the late 1400s. Christopher Columbus introduced orange trees to the New World. Dozens of orange tree cultivars are grown throughout the world. In the United States, the two most commonly grown oranges are the Navel and the Valencia. Other popular cultivars include the Hamlin, Ambersweet and Pineapple. Mandarin oranges, which are sweeter and have less of a citrus taste than other varieties, are also popular.